Thirty-seven car and truck brands, from Acura to Volvo, will display more than 500 new models at the 2015 Denver Auto Show, which opens Wednesday, April 8, at the Colorado Convention Center. Tesla, the much-ballyhooed electric auto, won’t be there. 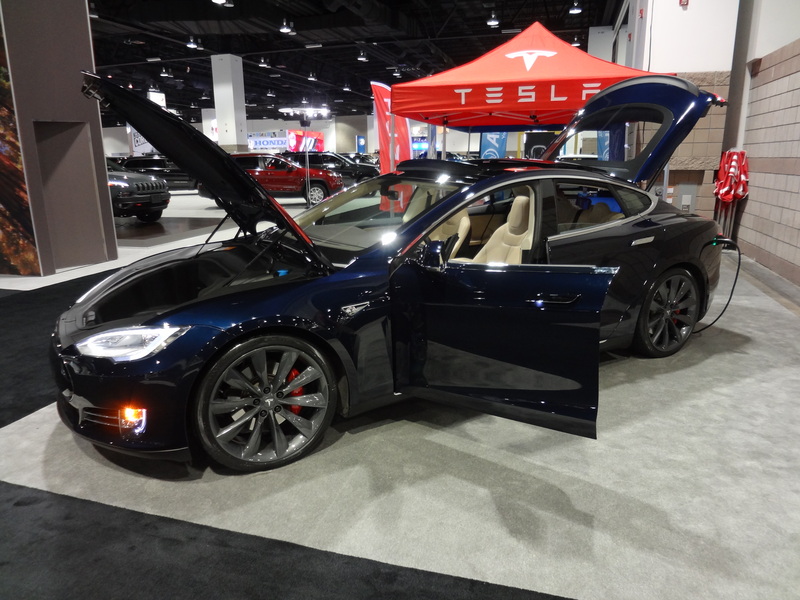 Tesla displayed its Model S electric four-door sedan in a small space at last year’s show. BMW’s new i8 electric, the Nissan Leaf, Chevrolet Volt and more than 20 other electrics and hybrid electrics will be shown. The annual show, presented by the Colorado Automobile Dealers Association, will run from Wednesday, April 8, through Sunday, April 12. Hours are 5 to 10 p.m. Wednesday, noon to 10 p.m. on Thursday and Friday, 10 a.m. to 10 p.m. Saturday and 10 a.m. to 6 p.m. on Sunday. A highlight will be announcement of Car of the Year, Truck of the Year and SUV of the Year as chosen by members of the Rocky Mountain Automotive Press. Selections will be announced on Tuesday night at the Charity Preview Party, and will be prominently displayed through the duration of the show. Auto show tickets can be purchased online at www.denverautoshow.com or at the door. Prices are $12 for adults, $6 for kids ages 6 through 12, those younger than 6 are admitted free. Wednesday is Military Day, when active and veteran personnel with appropriate military ID (white active duty or blue retired military cards) will be admitted free. Thursday is Senior Day, when anyone 65 and older is admitted for $5. For more information, call 1-800-251-1563 or visit www.denverautoshow.com. It must be tough to pick the “Best of” different classes without having the road testing for 2016 personally completed. Are the Auto Press Assn. choices based more on styling and performance, or concept? Whatever the basis, it will be fun to see what was selected for our Rocky Mtn. Region! PS: Look forward to seeing/reading your program input — always enticing!